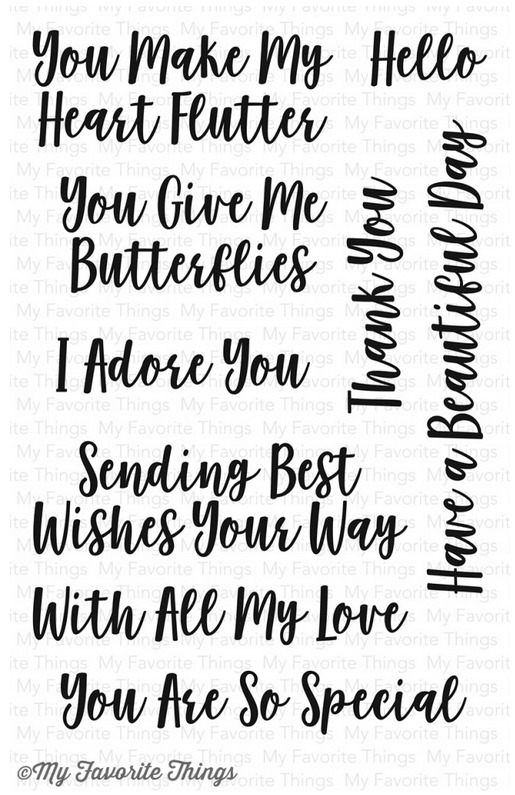 The You Give Me Butterflies stamp set includes 9 phrases in a charming font guaranteed to cover a wide range of occasions. Pair the sentiments with the Well-Connected Alphabet to craft custom phrases that will make your recipient feel so special. This 9 piece set includes sentiments ranging in size from 15/16” x 7/16” (Hello) to 3” x 15/16" (Sending Best Wishes Your Way).